I’ve made it my life goal to never show up to a party empty handed. Thanks to my variety of easy-peasy recipes, I never have to! I’m always on the lookout for delicious vegetarian options that are healthy additions to some of my favourite dishes. Thanks to Reese Specialty Foods, this is easy! One of my favourite recipes to bring to any summertime BBQ is Artichoke dip. 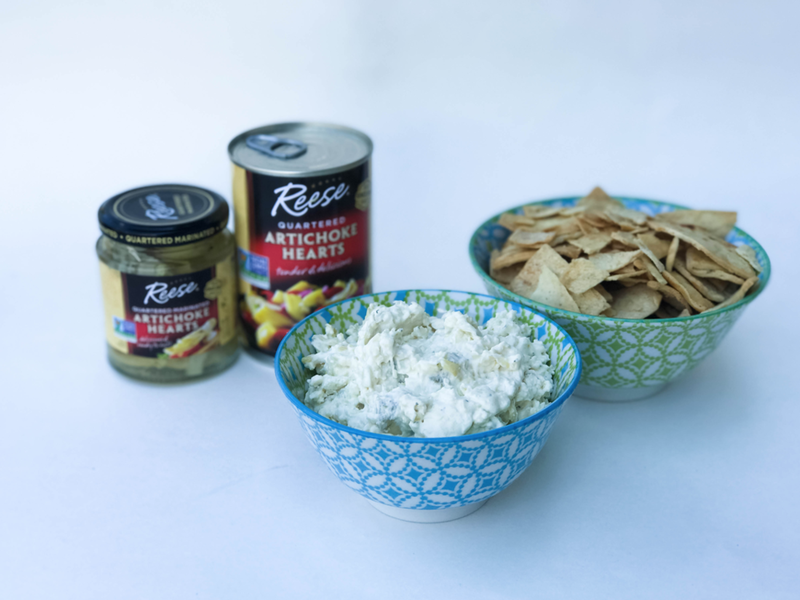 It makes for the perfect dipping and goes great with pita chips. 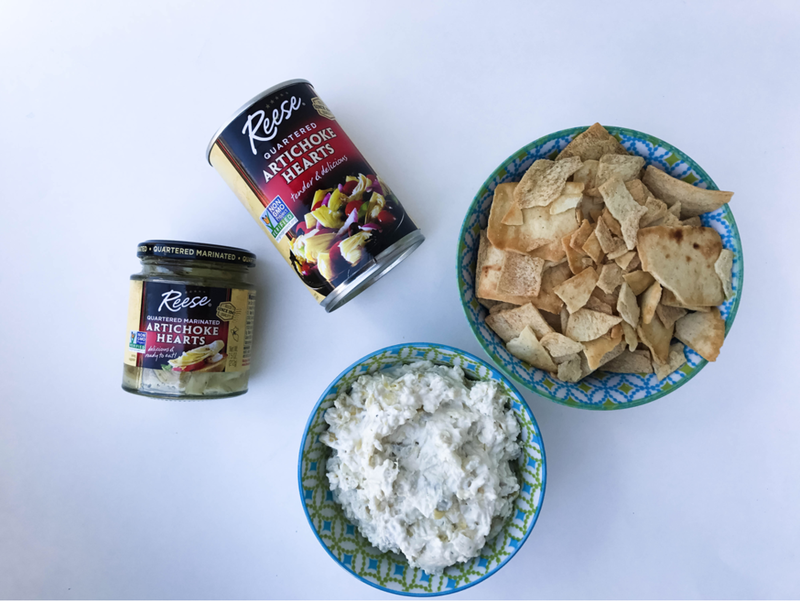 The recipe takes about 4 minutes to whip up and voila, Artichoke dip is ready to go! Treat yourself! Toss in the oven for about 20 minutes on 350! I mean, I’m the hit of the party whenever I show up with this! 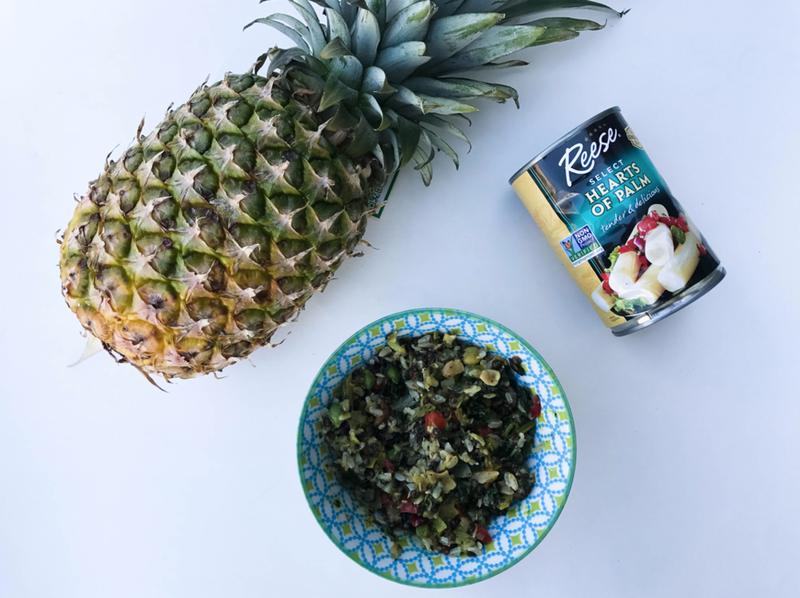 Next up, I wanted to talk about one of my all-time favourite, Hawaiian “fried” rice inspired dishes that taste GREAT with Hearts of Palm tossed in. I love this fresh and healthy dish and it makes easy left overs! I love how the hearts of palm add extra flavor and texture, especially being vegetarian I loveeee to experiment with different vegetables. Mix all together and voila, you have an easyyyy dinner! That’s all for inside my kitchen today! Let me know if you try any of my recipes and if you have any suggestions. Thanks for joining in. Make sure you download Ibotta for rebates on Reese!